Rama - I did as you said. 1280x960 is now much more stable, although it did glitch on me once during a 15 minute period of playing (xbox original -> gbs component). Just a rief hiccup that lasted a moment. And it still shows 60khz refresh rate. The other profiles are now all really off. 640x480 is like quartered on the screen with bottom right corner at top left, bottomed left at top right, etc. 1280x720 is cut in half with top half of image of image at bottom half of screen and bottom half of image at top half of screen. Yeah, logs should tell me enough. 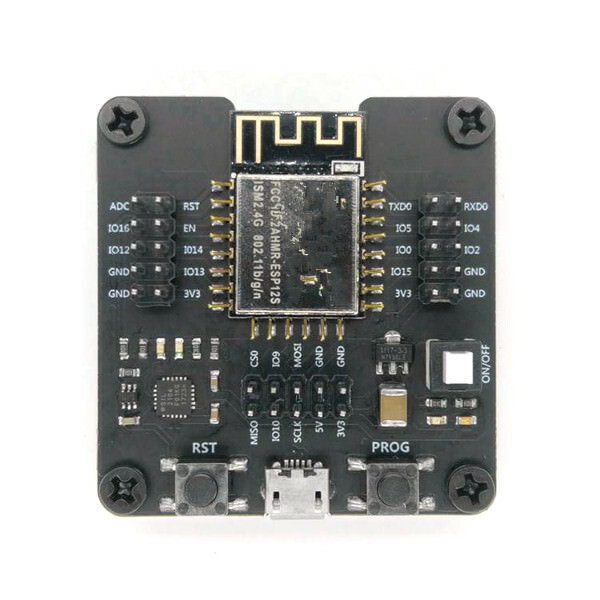 This adapter board looks kind of nice to house your ESP8266 in A bit expensive though, $15-$23 / piece on AliExpress. Last edited by jbilander on Sat Dec 01, 2018 8:37 pm, edited 1 time in total. Below is what the serial monitor reports with Dreamcast inputting into GBS-Control HD-15 input. I'm uploading a capture from Xbox original -> GBS-Control component input -> OSSC pass thru, but it's 1440p and is going to take a couple hours. Will post back with that in the morning. It looks very good, but glitches momentarily when doing supers, possibly due to a transition from extremely bright frames to normal brightness frames? Rama - here's the video of Xbox original -> GBS component. Minor hiccups at 1:13 and 2:38. Let me know if it would be beneficial to test with a game with more motion, like Outrun 2006, or if there's any other genre that should be focused on for testing. Below is what serial monitor reports for that one. Dreamcast RGBHV is obviously not working. It looses sync all the time and you see some attempts at recovery (wrongly trying to optimize SOG :p). Component input (and RGBS using CV Sync) is prone to sync dropouts from black - white - black transitions. I'm not sure I can ever get this fully stable. It's a little odd, because you don't see a regular TV doing it, and those should use the same kind of scaler. The dropout from harsh transitions is a well known issue on any video processor. Basically, the signal waveform gets compressed on whites and extends on blacks. Within that waveform, the sync tip can momentarily not be detected anymore, until it falls within the sync slicer margin again. That margin is programmable (you see this as SOG optimization attempts), but I obviously can't know when to expect a harsh transition beforehand. Oh by the way, mmmonkey has had this case design on his site for a while. 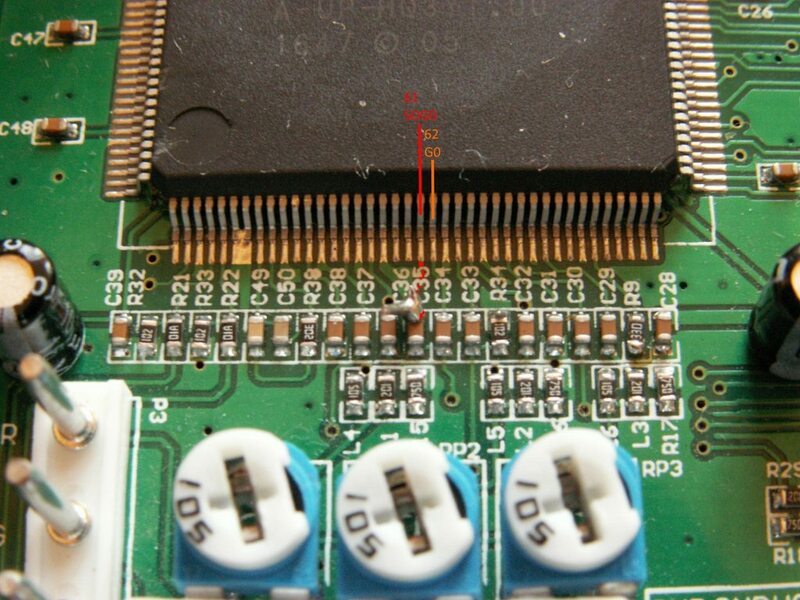 Does anyone know where to get the female connector with leads, for the 5-pin header? I'm sure I'm being dense, but I've tried every imagineable search term that I can think of to try to track one done, and cannot find them. edit: This site sells them I think. Check out the thumbnails section at the bottom of this page for more info. I upload to klovimg.com. It's free, hosted by a member at KLOV. Once you upload, you get a bunch of options for the embed codes. 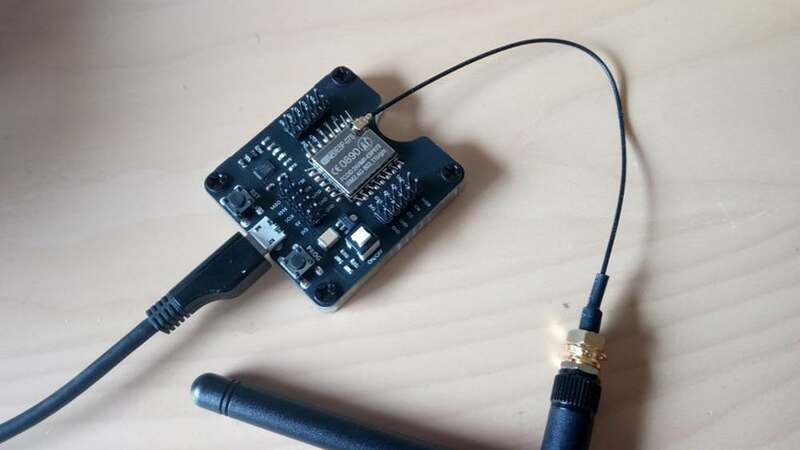 I usually use "BBCode Medium Linked", and just copy and paste that into most forums and it works, plug n play. The image is medium size, but you can click through to see it in full size. Rama - I just tried the native GBS operation with Xbox original-> component. It glitches too at those bright screens, although not consistently. It's probably 1 out of 5 or less on native GBS, compared to every time with GBS-Control. Maybe there's some clues in the native firmware for handling those transitions? Or, maybe it's not something of interest. Could just be an edge case with my particular setup. Also, with native GBS operation, the transition screens between fights would do a random vertical roll, and there was significant interference visible (waviness in the image). Those things don't happen with GBS-C.
Sync robustness used to be better when I had the extra pulse removal going on, coupled with shorter coasting. I removed that though, because it required managing a parameter all the time (sometimes not easy to get right), and because the ofw also didn't do that. But anyway, I only know that the pulse ignore setting helped with interlaced - progressive changes. It probably wouldn't affect this SOG problem. 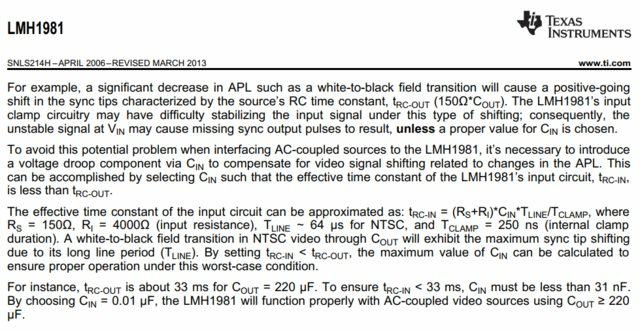 I found some tricks for this issue in a sync stripper datasheet (LM1981), which I'll try. I think I've found the YPbPr SOG input capacitor. 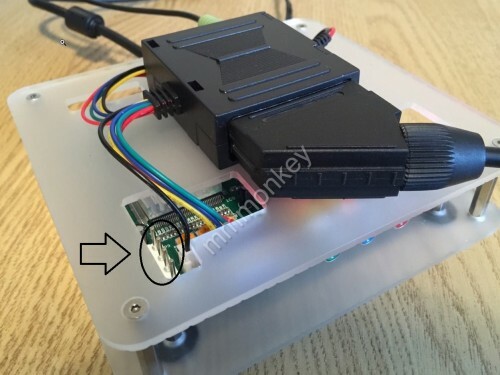 It looks like it's using the same value (probably 100nF) as the regular video input capacitor for the channel. According to the TI datasheet, this capacitor should be many times smaller though. I'll try getting it out of there and replace it. That'll probably take care of the sync dropouts, but it's a delicate operation. What location and what size should it be? I can give it a try too, if I've got a spare cap of appropriate size laying around. The red one (jpg really messes with details, doesn't it). The capacitor will be fiddly to remove. You might want to let me try first, before you wreck your board. Removed the SMD capacitor and measured it at 125nF. Next, I'll replace it with 1nF. Well, that was unspectacular. Replacing with 1nF completely fixes the white to black transitions, as the TI datasheet suggested it would. It doesn't magically cure the need to adjust the SOG slicer level, but gbscontrol does it automatically now anyway (on the development branch). Well, now I'm just a little bit annoyed really. I spent many hours debugging and optimizing the software. There was no way this advanced scaler chip couldn't properly decode very common signals after all! It turns out it really has no issues. 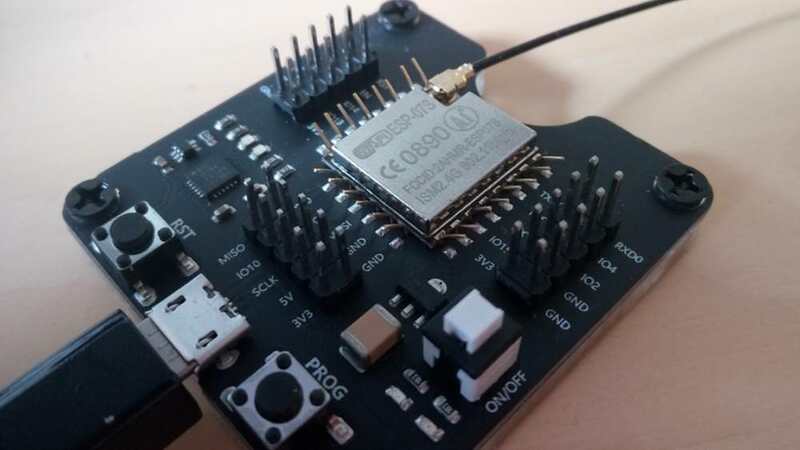 Sync is rock stable *if you follow the datasheet*! I went ahead and replaced the SOG1 capacitor (into pin64) as well. It measured at 130nF. And yep, it also fixes the RGBS situation with CV for sync. This is actually really good news of course. With this nice performance, there is absolutely no need for a sync stripper! Building the sync stripper, sourcing 5V, all the parts and finding a place for it, to me this is more difficult than simply replacing 2 caps. But, of course, this stuff is far too tiny for most. Eventually, this can also be done by cutting the traces and placing a 1nF series capacitor on it. Now these 2 caps in series will be a total value of around 900pF or so, still perfectly fine. Here is my mod job, replacing the 2 100nF caps with 1nF. This is all that's needed for perfect sync! Imo, the price just went down a lot, since the BOM is reduced and manual labor went down an hour for the sync stripper. The cases (should we ever build them) can be smaller and extra wiring reduced. You can use other cap values, by the way. I suppose it has to be above 400pF and below maybe 30nF. Lovely! No, I was just kidding, this is a cool project, good cost effectiveness and for me at least, a little modding makes it more fun. Well, good thing I got the tape of 50 since I now need 2. Last edited by NoAffinity on Wed Oct 10, 2018 6:49 pm, edited 1 time in total. If you can still add some more items (combined shipping), you should get big value SMD caps as well. 10uF, 22uF, 47uF. If the seller has any of those for a good price, you should pick them up. These caps go extremely well with retro consoles, for reducing jailbars etc caused by ageing electrolytics (or, in case of Nintendo hardware, lack of electrolytics :p). @rama what do you mean about no sync stripper needed anymore ? So just replacing these 2 caps can now hold perfect sync ? Btw. No problem with size, worked on smaller, even if i would kill the board it already needs replacing, cause i stripped mine so much from outrageous tests and stuff that it looks like it was found in field during ww2. 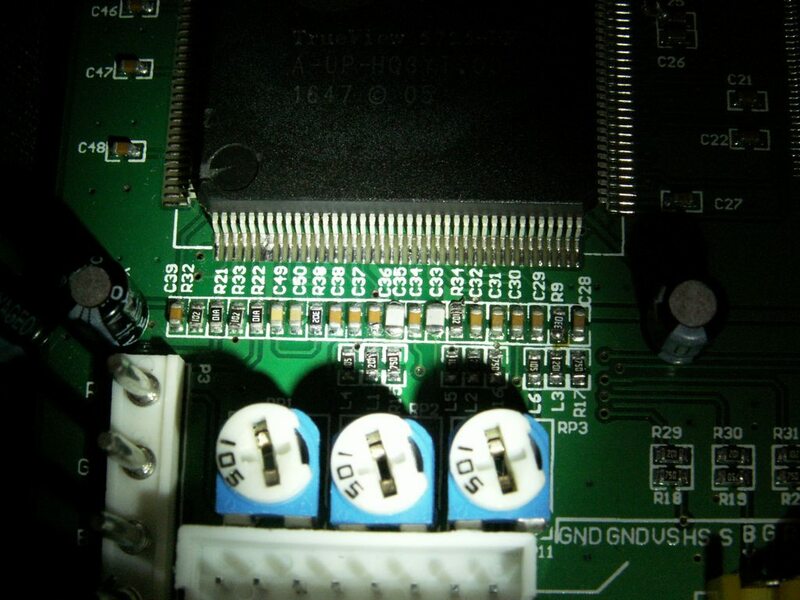 Jokes asside with chinese component ps2 cables i get a screen a little shaky and scrolling waves on screen (very hardly noticable) so now thinking, but could it be that im using 1amp psu and i'm already driving, gbs + sync stripper + mcu + vga to hdmi (+audio) converter ? :edit: nevermind, the baud rate somehow got changed. Chaning it back to 115200 worked great. VGA input not working for me. I have only a VGA input connected, no other inputs connected. I have some 4.7nF and 750pF, would these do the job ? Also, is the additional 100R to ground on sync still needed ?